"Purchased this reel 9 months ago. Bearings rattle when I cast. Reel has a cheap plastic feel. I do like the overall ergonomics of the reel. I sent it back to Quantum last week for warranty review. I am curious to find out how well they service their customers." 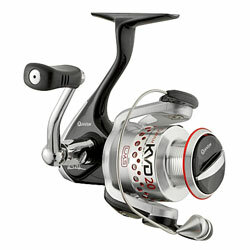 "This is a nice reel, casts well I am lookin forward to using it for many years to come!" According to the general online consensus, where our research is based on unbiased customer comments and user feedback, this is a good reel and good value for the money. There were some negative reports on this reel, but the overall percentage of feedback was positive.